Blakemere Touring Park, CaravannersRus Recognised Business of the Year Award 2018/19, is located in the heart of the beautiful Cheshire Countryside, conveniently located next to the Blakemere Village and its wide array of shops, year-round events and fun, family-friendly activities. 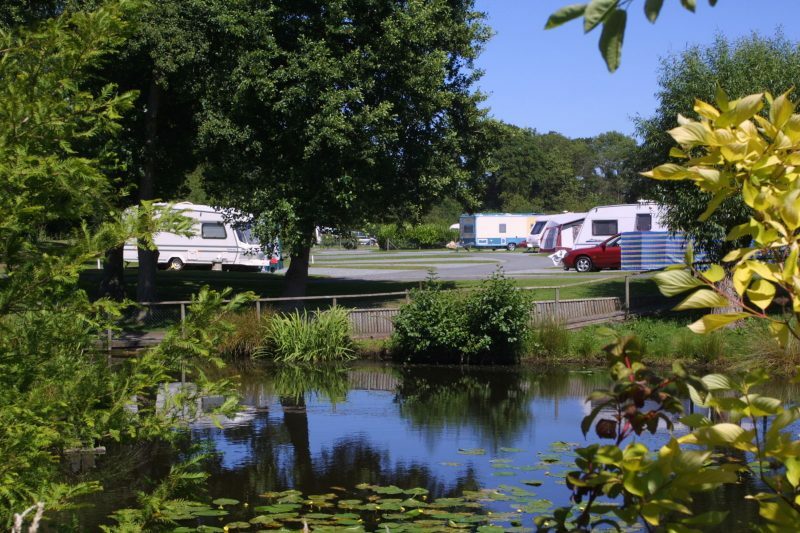 Awarded a Certificate of Excellence on Trip Advisor, the Touring Park hosts 52 large and medium sized hard standing caravan pitches and a camping area. The outstanding facilities include a dog wash, family bathroom, free wifi, onsite shop and a free adventure play park. The Touring Park is just a few steps from Blakemere Village, a collective of boutique-style independent shops with a family restaurant, tea-room, outdoor activities including Segway and cycle hire as well as a playbarn. During school holidays, the Village hosts popular children’s trails including the Easter Bunny Trail and a Zombie Trail at Halloween PLUS there are seasonal film nights in the Den at the Touring Park to keep the little (and not so little!) ones entertained. Mid-week special offers are available Sun – Thursday £18 per night with a minimum 2-night stay during school term time only and not available over Bank Holidays. And if you are quick, you can avail of the latest Summer 2019 offer! For Sunday arrivals, book 5 nights and only pay for 4. Alternatively, for Friday arrivals, book 7 nights and only pay for 6 – valid from 21st July – 31st August if booked before 31st March 2019 so don’t delay! For more information, check out stayatblakemere.co.uk or Follow on Facebook @StayatBlakemere.